SBI Bank is offering up to 5 litres of petrol free on payment done via BHIM-SBI Pay for any domestic oil retail outlet, claimed the official Twitter handle. The offer is valid till Nov 23, 2018 and the minimum transaction value is Rs 100. 2. SMS Charges – Normal SMS charges apply. 2. Offer commences on 15th Oct’18 and closes at 12.00 pm IST (midnight) on 23rd Nov’18 – (“Offer Period”). Any entries received after 12.00 midnight, on 29th Nov’18 will not be considered. carry out research about this offer or communicate future promotions to you. ‘Approval/Authcode space DDMM.’ to the no 9222222084. Where DDMM is the actual date of card payment transaction. Ex transaction on 1st Nov’18 , DDMM must be 0111.
to the number 9222222084. Where DDMM is the actual date of UPI payment transaction. Auth/approval code or UPI reference number will be considered invalid. 11. Cash-backs on offer – Out of all eligible SMSs received for a particular transaction date, 10,000 SMSs shall be entitled for cash-back ranging as per Rs 50/-, Rs 100/-, Rs 150/, Rs 200/-. Corporation Ltd Retail Outlet will be eligible for participating in the campaign. Auth/approval code or UPI reference no on the same day. 15. Winners will be declared normally within 2 weeks of the close of the offer or within such period as the Corporation may deem fit. Winners will be sent link to enroll into the XTRAREWARDS Loyalty Program of Indian Oil Corporation Ltd and the cashback incentive will be credited into the winners loyalty account. The winners shall be required to provide the requisite personal profile information such as name, address etc to Indian Oil Corporation Ltd for creation of such Loyalty account. The winner shall also have to agree to the XTRAREWARDS Loyalty Program to avail the cash back incentive. 16. Winners may redeem the XTRAREWARDS loyalty point by visiting participating Indian Oil Corporation Ltd Retail Outlet against fuel purchase. 17. Winners will be communicated individually through sms and the decision of the Corporation shall be final and no communication in this regard will be entertained. 18. The selected Mobile Numbers would be contacted by our back-end operator for further processing. In case the mobile number has been changed/terminated/blocked/out of reach etc. Indian Oil Corporation Ltd will not be held liable for not being able to communicate/handover prizes to the winners. 19. No queries/clarifications/suggestions will be entertained on the modality of selection or the selection process which would be entirely the discretion of Indian Oil Corporation Ltd.
20. All statutory levies including taxes, duties, octroi etc., applicable on the prizes would have to be borne by the prize winners. 21. The offer is not transferable and cannot be exchanged/redeemed for cash. No cash claim shall be entertained in lieu of the offer. This offer may not be combined with other IOCL Promotional or Discount Offer. 22. 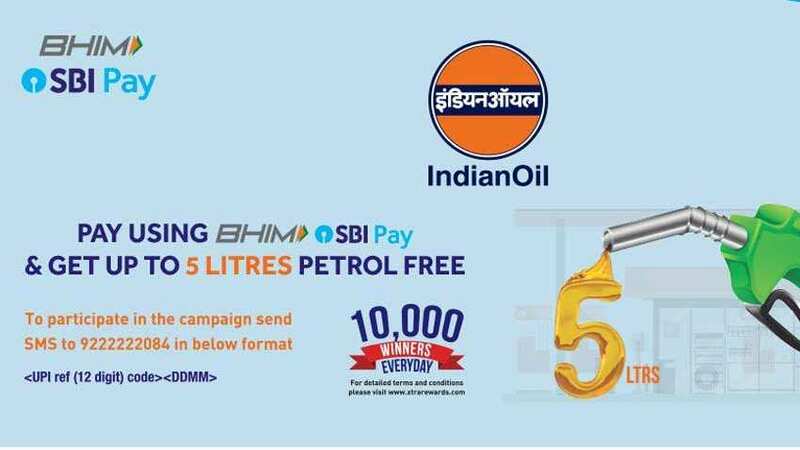 Indian Oil Corporation Ltd, shall not be liable for any loss or damage whatsoever that may be suffered as a result of participating in the offer or enjoying the prizes. 23. The decision of Indian Oil Corporation Ltd. is final and binding and is noncontestable. Indian Oil Corporation Ltd. reserves the right to withdraw and/or alter any of the terms and conditions of this offer at any time without prior notice. No correspondence would be entertained on this account. 24. IOCL reserves the right to audit all claims/winning entries to ensure that the Terms and Conditions of the promotion have been met; and to request additional information regarding any and all claims and supporting documents. 25. Apart from the entitlement to the prizes, the winner or his/her legal heirs will have no rights or claims against IndianOil or its partners. 26. As a general rule no correspondence will be entered into. Any correspondence would be at the discretion of IndianOil. 27. The submission of false, incorrect, misleading or fraudulent data or documentation may result in disqualification from this promotion and from future IOCL promotions. The submission of false, misleading or fraudulent information may result in the claimant being subject to civil orcriminal liability. 28. All disputes are subject to the exclusive jurisdiction of the courts of Mumbai.